Wireless bathroom pull alarm with wireless home alert transmitter. This bathroom emergency call alert is a wireless safety device used to call for assistance when help is needed in the bathroom. Once the cord is pulled it will transmit an alert to the wireless home alert receiver. 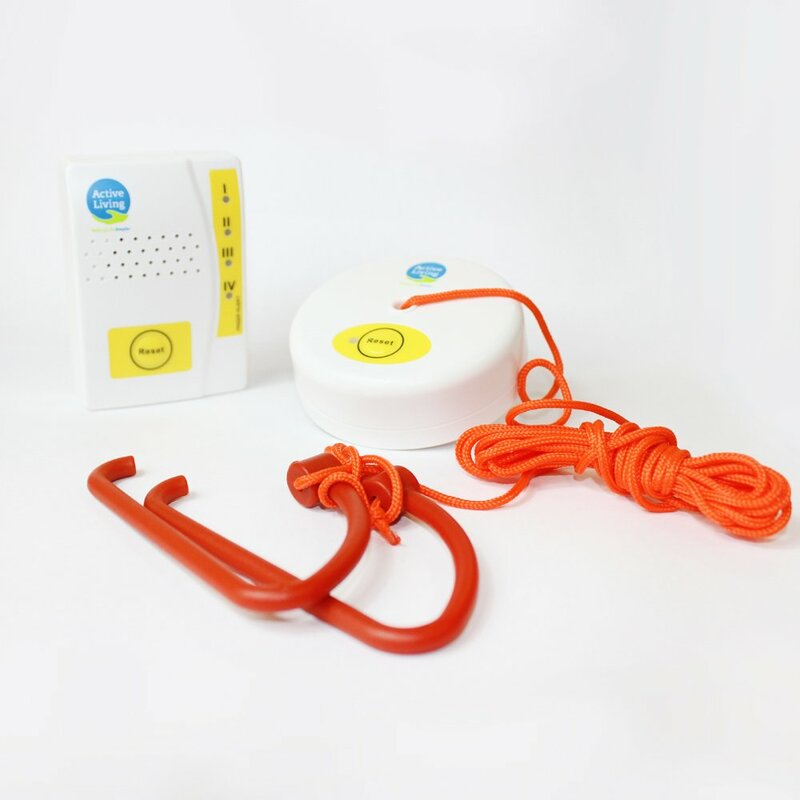 Housed in a water resistant case, the device can be mounted to the ceiling or to a side wall and is supplied with a 2 metre long pull cord which has adjustable length and 2 pull handles that can be triggered by a slight touch.